CCTV Design Lens Calculator is an easy free tool for CCTV design. It offers standard functions of Lens Calculators as well as several new features. 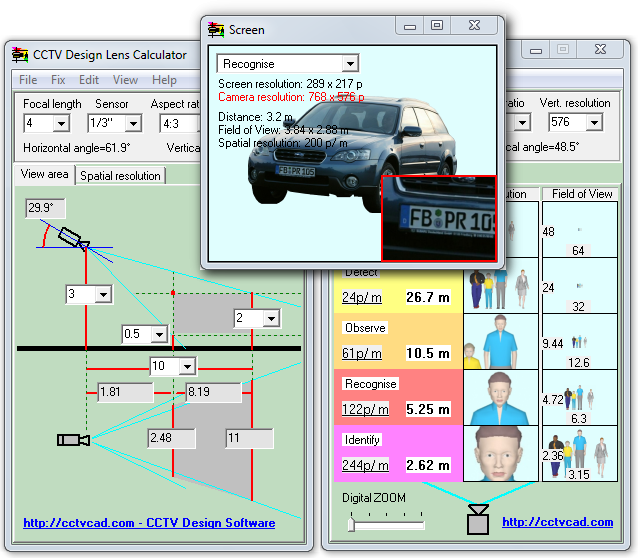 CCTV Design Lens Calculator is an easy free tool for CCTV design. It offers standard functions of Lens Calculators - calculation of the field-of-view size depending on the distance and the lens focal length as well as several new, more effective tools. AnyMP4 iPhone to Mac Transfer Ultimate is the professional transferring software for iPhone users, which can transfer iPhone files such as music, movies, TV shows, podcast, iTunes U, ringtone, ePub, PDF, etc. to Mac. 4Easysoft Blu-ray to Xbox Ripper,as best and practical Blu-ray Ripper,offers you an all-in-one solution of ripping Blu-ray Disc and standard DVD to Xbox and converting general video to many popular video formats as you like.